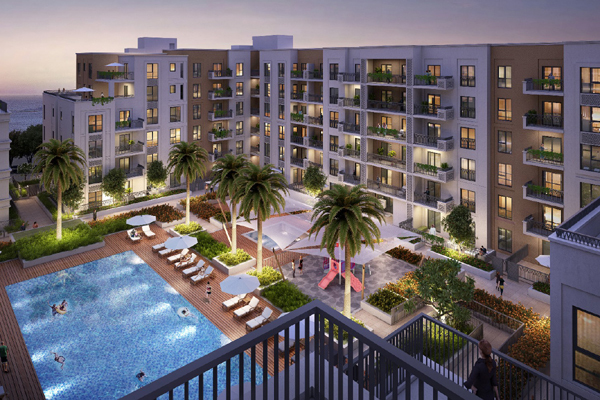 Eagle Hills Sharjah, a leading real estate investment and development company, has launched Sapphire Beach Residence, the second residential building of the flagship Maryam Island project in Sharjah. The joint venture between Eagle Hills, an Abu Dhabi-based private real estate investment and development company, and Sharjah Investment and Development Authority (Shurooq) is working on a trio of major developments that will set new standards of residential living, hospitality, retail and lifestyle communities in Sharjah. Besides Maryam Island, it is also developing Kalba Waterfront and Palace Al Khan projects which are set to become flagship destinations for locals and visitors, energising and diversifying the local economy, creating jobs and attracting local and international investments. The Sapphire Beach Residence launch comes following its success with the first residential building, Azure Beach Residence, last month. Sapphire Beach Residence features 190 units ranging from studios to three-bedroom apartments, all of which are complemented by 20 retail and F&B (food and beverage) units, a shared community pool and gym, a pool and a playground for children. Residents will also benefit from a strategic location a few minutes’ walk away from the beach. Eagle Hills CEO Low Ping said: "We are delighted to have witnessed such a high level of interest in Azure Beach Residence among both domestic and foreign investors, particularly so soon after the launch of sales. This is a promising sign as it demonstrates that Maryam Island is achieving what we hoped it would — supporting Sharjah’s growing reputation as a premier lifestyle destination, setting new benchmarks for fully integrated communities in the emirate, and attracting a new audience of investors." "By releasing a fresh wave of units in Sapphire Beach Residence, we hope to sustain this momentum, thereby driving sustainable growth in Sharjah," she stated. Sapphire Beach Residence is situated at the heart of Sharjah’s most impressive waterfront destination - Maryam Island - which will offer world-class urban planning design and unparalleled views of both the Arabian Sea and the city’s downtown skyline. Maryam Island residents will benefit from exceptional privacy and serenity, as well as access to the development’s relaxing waterfront promenade and a Souq that reflects Sharjah’s rich heritage.